Life Technologies AB Library Builder Applied Biosystems w/ Protocol Cards . New Life Scientific, Inc.
Our in-house technician inspected and tested this AB Library Builder System, confirming it to be functional. 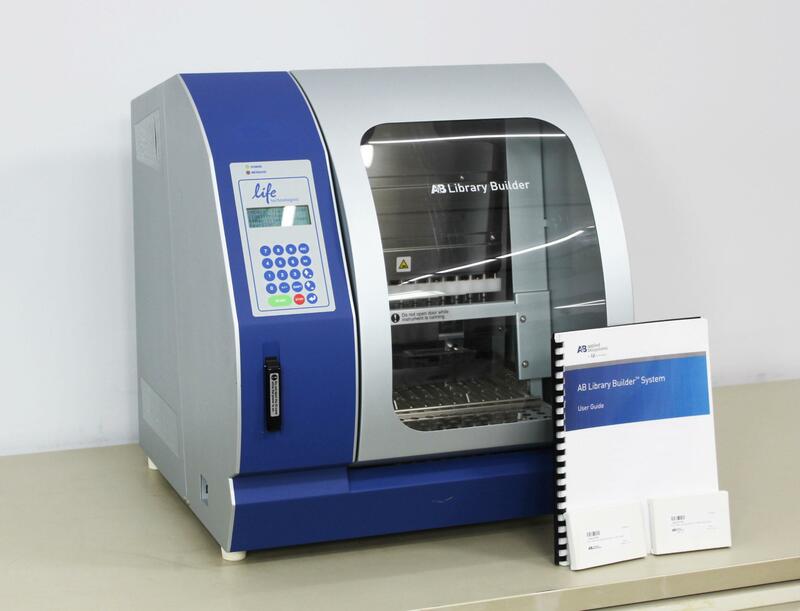 The instrument powered up and initialized without error, able to test the robotics, syringe unit, magnetic unit, piercing unit, heating unit, and sample carriers. All testing ran smoothly and completed successfully.